Sprint! 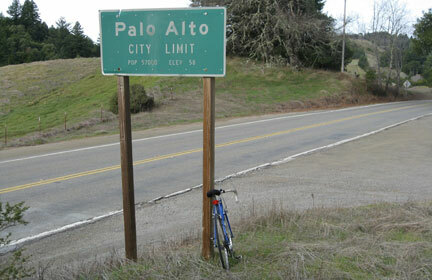 Back in the roaring '70s Jobst Riders would sprint for city limit signs, including this one on Skyline Boulevard, the Bermuda Triangle of city limit signs. Temperature 48 degrees today and cloudy before the rain (January 29, 2011). This entry was posted on January 30, 2011 at 2:09 am and is filed under News. You can follow any responses to this entry through the RSS 2.0 feed. You can leave a response, or trackback from your own site.